BlytheLife.com » What’s so special about Kenners? This is a question that I get asked often by people who a) aren’t into Blythe and are unable to tell the difference between Kenners, Takaras and ADGs and b) those who are into Blythe, but think that crusty old dolls don’t hold a candle to their shiny, new Neos. And, let’s be honest now, I didn’t think much of Kenners either. But I also thought that I wouldn’t have one because Kenners are a) expensive and b) all special and vintagey. For those new to the world of Blythe, Kenners were the first Blythes to be manufactured (aside from the prototypes for the design). They have copyright information on the back of their torso that talks of General Mills, 1972 and the now-defunct toy company Kenner. They were also made in Hong Kong, when it was under British rule (history factoid for you all). Kenner made a lot of other toys as well, so if you’re looking up “vintage Kenner doll” on eBay, you’ll find other dolls besides the big-headed Blythe. 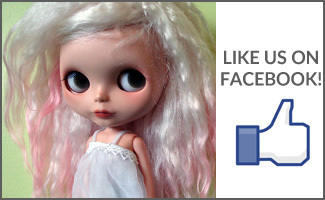 Blythe in 1972 came with 4 standard eye colours. If you’ve ever seen the original television advert, you’ll know that they referred to the orange as brown and the pink as purple. And, if you’re (un)lucky with your vintage Kenner dolls, you’ll know that sometimes with time (and perhaps poor storage over the years), the vintage eye chips will fuse with the white eyeballs that the dolls have. Short of chipping away at it to remove it, you’d be hard pressed to swap out the eyechips even if you wanted to. And yes, there are those who will customize the vintage dolls while others simply restore them to their previous glory. Those who are turned off by Kenners for their imperfections don’t need to look far for photos of them with cracks and other faults. Pelvic cracks, missing legs, torso cracks, missing arms, broken necks, yellowed eyes, cloudy chips, missing pullstrings, scalp tears, missing plugs, frizzy hair that looks like dish scrubber. There are a lot of issues that a Kenner can end up with. 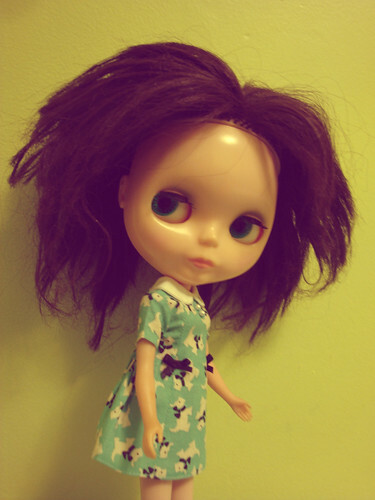 And some dolls do need a lot of restoration work, if you want them to be more Blythe-like and less grunge-like. I personally love Kenners. I have three of my own and they’re the gems in my collection (please don’t tell the others). I find that the older dolls tend to have more character about them, and the little quirks that they have from age make them more interesting to me. So while I may not have a family of just Kenners, I quite like them (a lot). Like custom dolls though, they’re not for everyone. 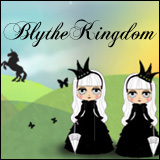 Everyone has their own likes and dislikes about all different types of Blythes. But there is no denying that there is a sense of allure when it comes to these older Blythes, and without them we never would have had the Blythe dolls that we know and love today. 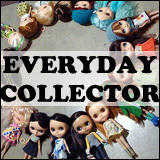 I have 37 Blythe dolls! None are clones, ONE is a Middie, (I don’t count the few Petites I own in that list either) and 5 are customs. The balance (31 dolls!) are Takara Official release stock dolls. I HAD plans for many of them to customize, but each time I got the potential custom in person, I fell in love with her, and ALWAYS find a reason to keep them stock! The LATEST addition was a barely used a Prairie Posie that I got specifically to customize. Well, I absolutely fell in LOVE with her freckles, AND her orange eyes! Usually, orange is not my fave chip on Blythe, BUT on Posie, dressed in a Mori girl outfit in autumn colors, the orange is FABULOUS! As far as Kenner dolls, IF I can find one in decent shape for a reasonable price, I would LOVE to own one! The worst part? When I was a kid, this lady dating my dad tried to win me over by giving me her old Blythe doll…a REAL Blonde kenner in the green dress! She was in brand new condition! Well, I HATED that doll! But looking back, and how much I LOVE BLYTHE now, I think I was transferring emotions about dad’s lady friend onto the doll! I ruined it, then tossed it! And YES, I WISH I could have it back today! My family thinks I am trying to buy back my childhood! Me? I just love dolls!